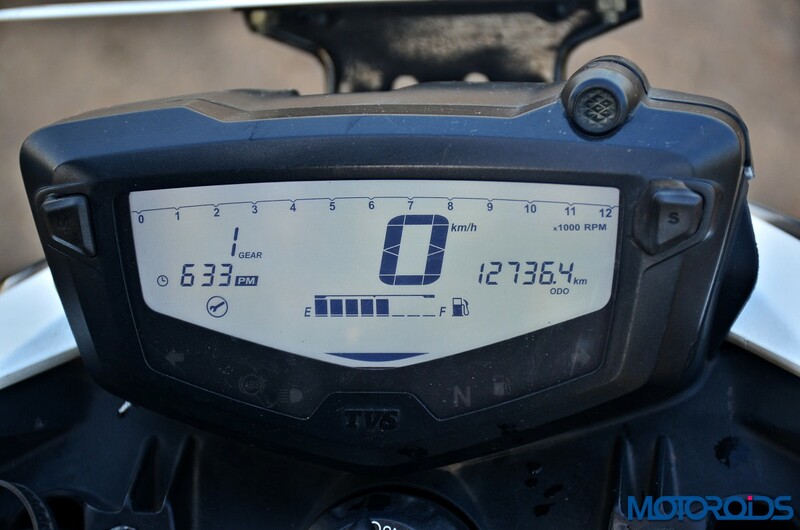 It‘s been over three thousand kilometres since our last review and a little less than 10,000 km since we acquired our long term TVS Apache RTR200 4V. The new TVS Apache RTR200 4V took over the task of hauling me to work and back six months ago and it has been turned out to be quite a companion. We’ve spoken in great detail about what we feel about the motorcycle in our previous report and you can read all about it here. In this long-term report, we’d let you know how the motorcycle has been holding up after over 12,000 kilometres on the odometer. First things first, let’s talk about the engine. The average running of the motorcycle is 54 km per day, five days a week, which mostly comprises of traffic-free riding conditions. Then there are those occasional weekend getaways to nearby destinations. 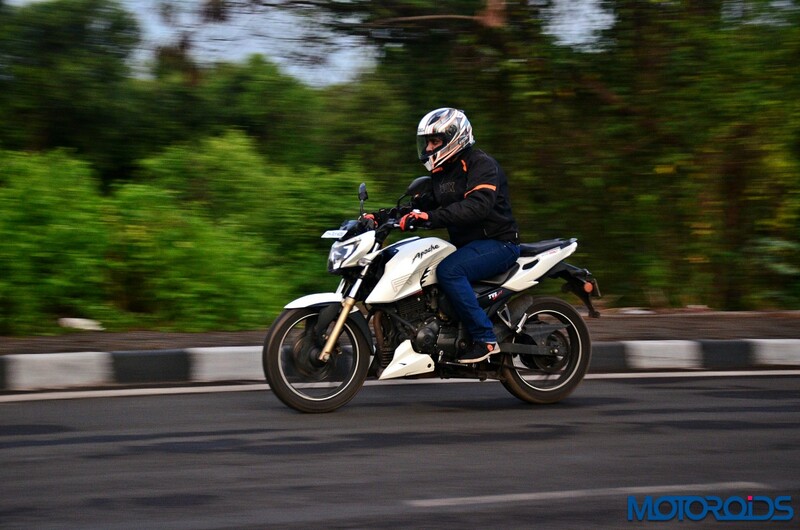 I had a quick ride to Nashik and back one evening and the Apache RTR200 was quick, fun and quite efficient. Being an evening ride through the ill-lit Kasara Ghat, the headlight was up for a serious test and the Apache came out with flying colours. It’s definitely a very capable illumination unit for the segment. 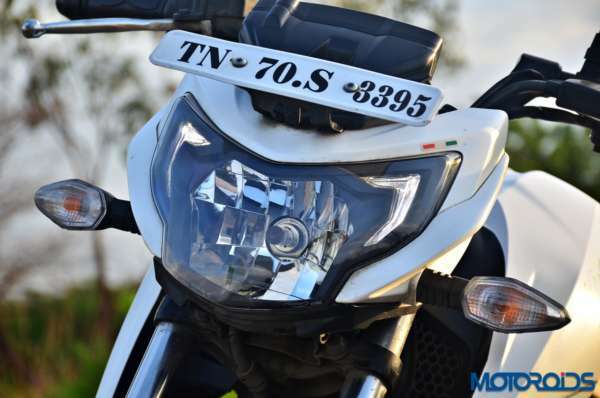 One of the most underrated features of the headlight is the Pass Switch function which works even when the bike’s on high beam where it dips to low and back onto high. It’s these small things that make big difference on the highway. Coming back to the ride experience, the engine is riding within the power band for most part of my rides. The 200cc single cylinder engine, which is tuned to deliver 20.7 bhp of power at 8,500 rpm and 18.1 Nm of torque at 7,000 revs, is in prime shape with timely maintenance. It’s been serviced once since our previous report with necessary replacement of fluids and filters. 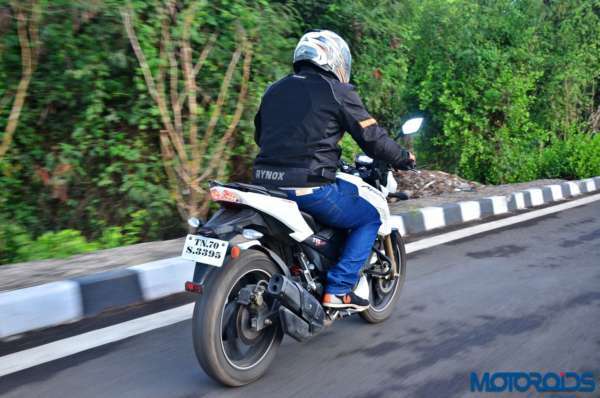 It’s returning quite good economy too and despite keeping the throttle pinned for a large part of the runs, the Apache RTR200 4V is still returning an economy of more than 30 kmpl. While we absolutely love the strong mid-range and the revvy nature of the motor, we really believe that the Apache is a platform over engineered for the power at hand. 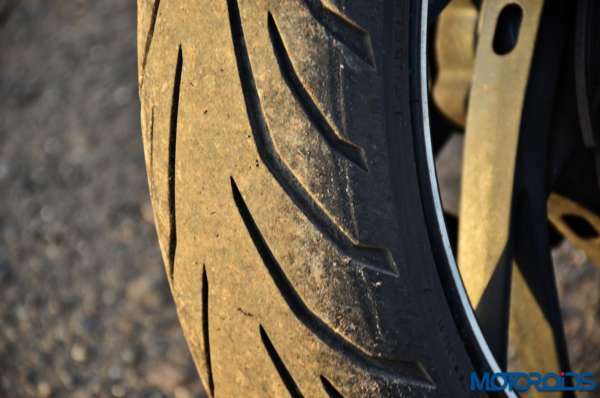 While carving corners or on the highway, the sorted chassis, the sharp brakes and those fantastic Pirelli Sport Demon tyres together make this bike feel so much in control even at the limit, we often believe TVS could have gotten away with using a much more powerful unit for this architecture. The build quality is among the finest in the segment and the Apache RTR200 4V has no rattling or squeaky sounds whatsoever. We did face a small electrical glitch briefly wherein the rear blinkers stopped working while the speedometer/odometer came to a standstill a few days after. When reported, the issue took a very brief visit to our nearby TVS service station to be fixed, and we’ve not face the trouble ever since. With over 12,000 km on the odometer, the rear Pirelli tyre is still holding pretty strong and we can probably squeeze out a few more thousand miles before replacement. We’d probably mention the life of the tyre in our next report. 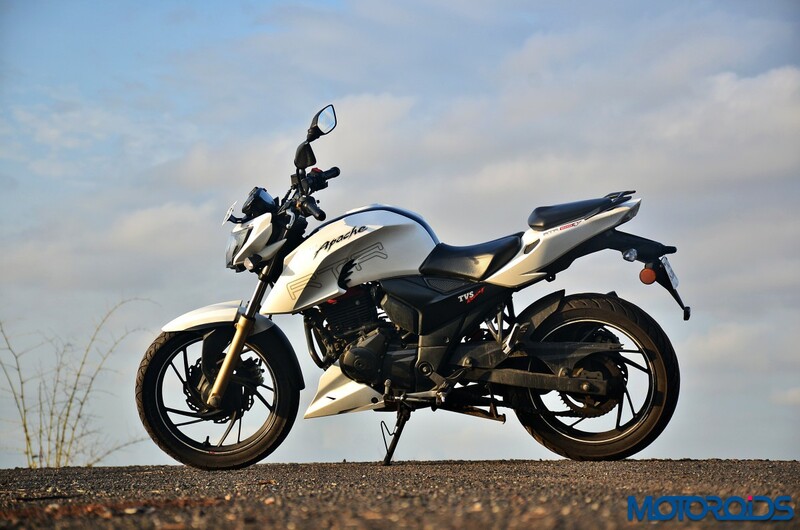 What we particularly like about the Apache RTR200 is its fantastic balance between a sporty and comfortable riding position. So while it can be used as a commuter on a daily basis, it lends itself to some aggressive manoeuvres around the ghats in Aamby Valley equally well. The well equipped instrument console with its easy readability and rich set of features makes the rides through the city very fulfilling. Features such as gear indicator, up shift light, top speed recorder, lap timer etc, allow me to create a new real-world game for myself everyday and make my commutes rather interesting. 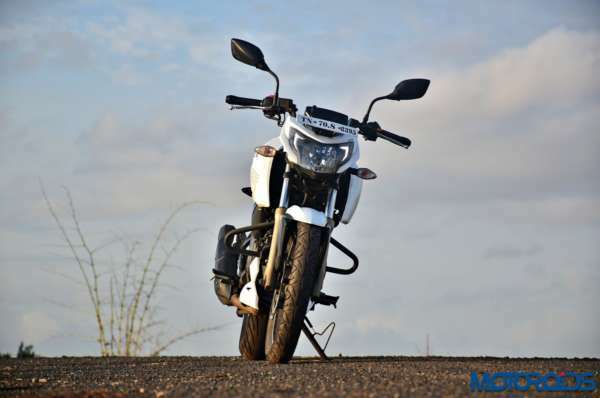 We have always believed that the Apache RTR200V is one of the most balanced, accomplished and affordable 200cc motorcycles in the country. Its journey with us thus far has proven us right. 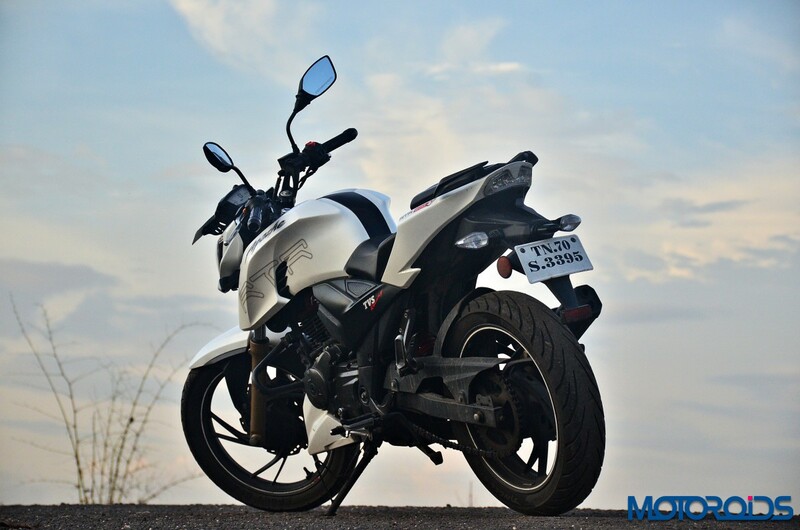 The bike is in top shape, and is one of the most sought after two wheelers in our long term fleet. The fabulous balance of efficiency, performance and handling makes it a great choice for those short-medium Sunday morning rides.